El Observatorio Cubano de los Derechos (OBCUD) LGBT is a small, independent, community-based organization located in Havana, Cuba, established by Leannes Imbert Acosta in 2011. OBCUD aims to promote and protect the universal human rights of the local LGBT community and to work at building a fully inclusive society that respects different sexual orientations and gender identities. Outside of Havana, OBCUD is also active in cities like Santiago, Holguin and Guantanamó, where living conditions for LGBTs are even worse. OBCUD recently spoke out against increases in repression against LGBTs by the National Revolutionary Police. Actions like these make OBCUD a regular target for the Cuban secret service. 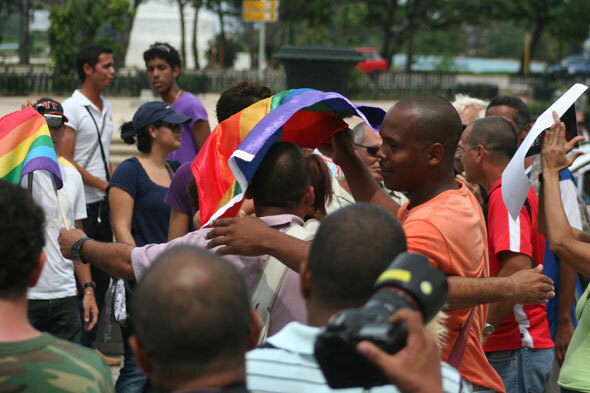 The Cuban LGBT community has to deal with marginalization, insults, verbal and/or physical aggression on a daily basis. LGBTs avoid conversations about their personal lives and are often forced inside a heterosexual straitjacket, both in their work and private lives. OBCUD wants to achieve improvement by opening an information center in Havana. In Guantanamó, information about LGBTs will be disseminated through seminars, debates and film screenings. Information material for local schools will also be provided.